awg architects were invited to design a new retail concept for the shops of the clothing reseller/label ‘Don Gil’. 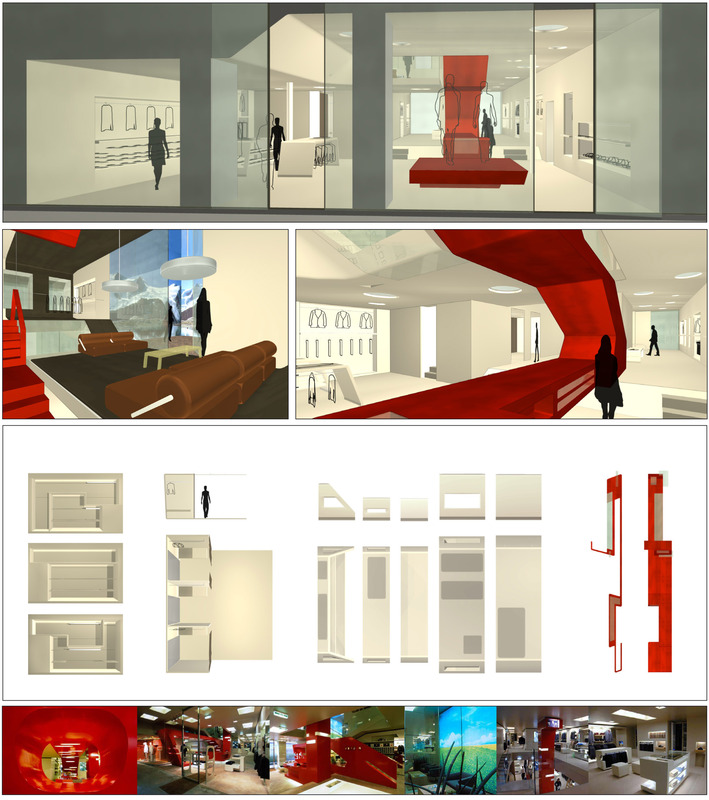 The presentation required a prototype proposal for two shops (street and indoor shop) and the furnishing. In cooperation we worked with awg on the project. ‘Don Gil’ is primarily a men’s clothing label, so we took the strong colour of their logo and created a red line that goes through the shops. The glossy red furniture object starts at the window display as a catwalk, transforms into a cash wrap, and continues further, leading the customer through the shop. Each store shall include a lounge with wallpaper, the shelves and tables are beige, the design was won and awg – alles wird gut started ­realization.